When the world is under siege from the pits of Hell, it’s up to The Devilers to set things right! Seven of the world’s greatest exorcists, representing many faiths but united by common resolve, are called to the burning Vatican. As rescue workers attempt to contain the city-wide inferno, only the truly devout stand witness to the demon army marching among the flames. The Devilers, each armed with a unique and fearsome ability to combat the fiendish invaders, must battle their way through the City of the Damned to confront the true evil at its core… but one among their number holds a terrible secret that might be their undoing! Final issue! The end is nigh, another of the Devilers must fall if the armies of hell are to be stopped. The climactic finale to the critically acclaimed cult hit thriller! The team is in retreat, all hope is seemingly lost, and the traitor in their midst may have shown their hand. It’s up to Chun-Bai to see the true nature of their situation before it’s too late. 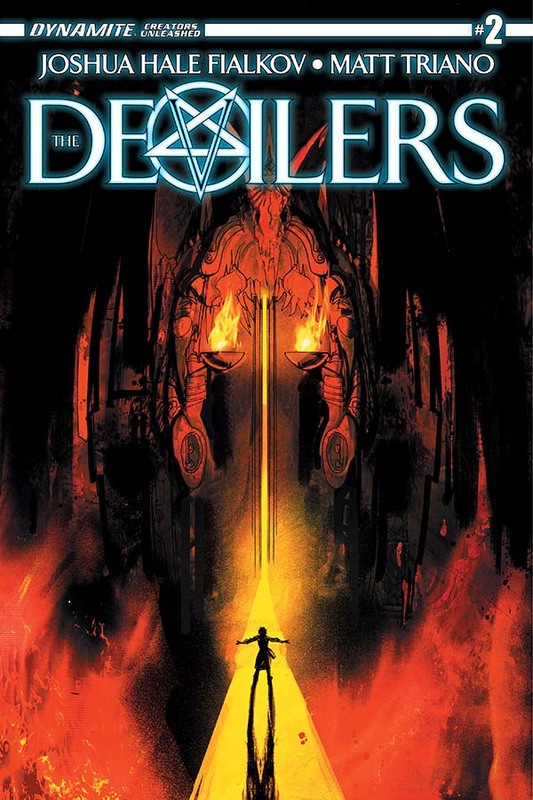 From Joshua Hale Fialkov, the writer of Ultimate FF, comes The Devilers! The City of the Damned attacks as the Devilers fight their way to Lucifer’s castle in the center of hell, but what, or rather, WHO they find there is not what they expected at all. Plus, the origin of the Deviler that might save them all. From the critically acclaimed creator of THE BUNKER comes a daring new series that follows a team of the worlds best Exorcists as they battle the army of Satan himself. Picking up where the last issue left off, our heroes must venture through hellfire and demons in order to face the devil himself. But, the secrets they all hold may be their undoing. With breathtaking art from breakout artist Matt Triano and covers by Jock, Joshua Hale Fialkov pilots the boldest new series in years. When the world is under siege from the pits of hell, it’s up to THE DEVILERS to set things right. Seven of the world’s greatest exorcists pit themselves against Satan’s army, and all of creation hangs in the balance. From the writer of THE BUNKER, THE ULTIMATES, and I, VAMPIRE comes a horror fueled adventure through hell itself. Dynamite has announced the first book in a series of creator driven comics, featuring all new characters from the industry’s best and brightest! The Devilers is written by the acclaimed author Joshua Hale Fialkov, working with us for the first time, and accompanied by the incredible art of Matt Triano! Single issues in this line will be priced at $2.99, allowing fans the opportunity to affordably try all of the new series! And to help retailers stock up with confidence, each launch issue will be completely returnable! 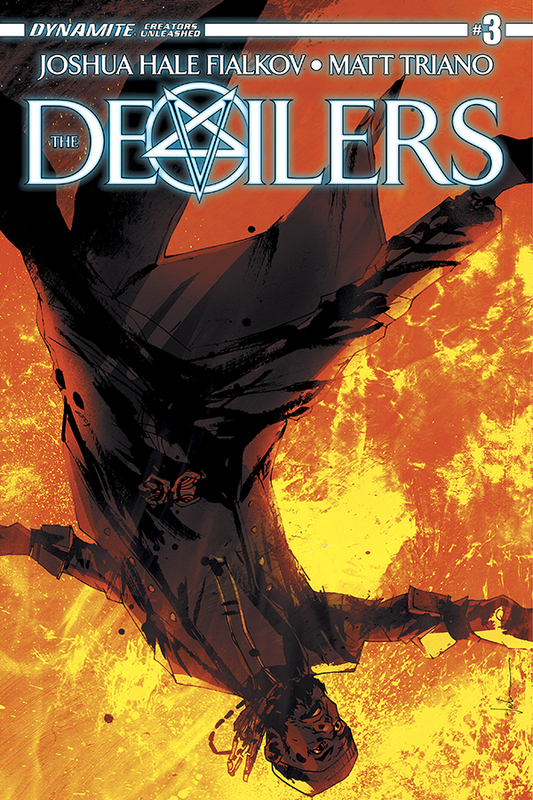 To sweeten the deal for fans and retailers alike, The Devilers #1 will feature covers by Eisner Award Nominee Jock and a beautiful retailer incentive by the masterful Marc Silvestri! The Devilers comes out July 16 to retailers and digital platforms! 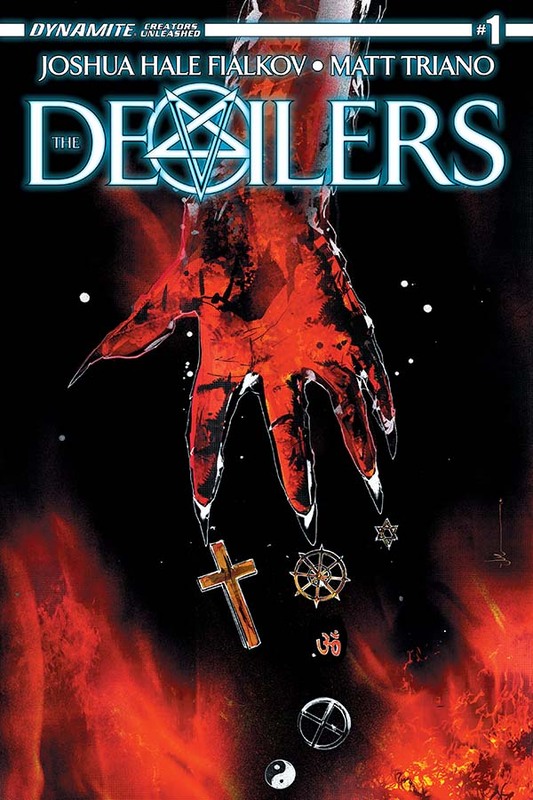 The following creator driven books are a small sampling of titles that will come after The Devilers, beginning August 2014 through 2015, to keep the momentum going, from the best comics has to offer! More creators and titles to be announced!